A new era of Hell Is For Hyphenates dawns! Or, if we’re going by Planet of the Apes terminology, it rises, then it dawns. Then it wars. With Sophie departing the show last month, this month included not just prep for a new episode, but simultaneously hunt for a new co-host. 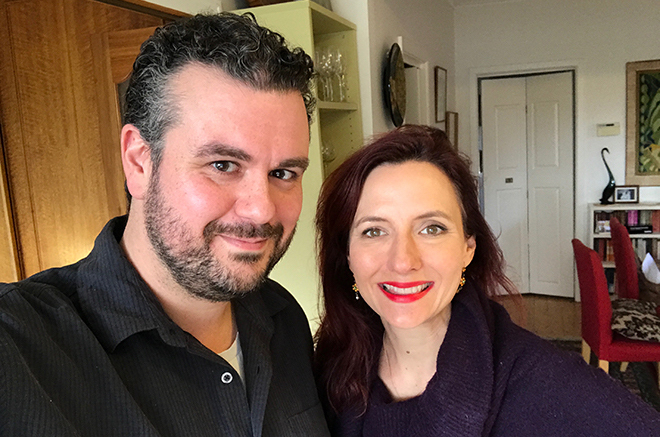 If you’ve been listening to the show since the beginning – and of course you have – you’ll remember that one of our earliest guests was the wonderful Rochelle Siemienowicz, writer and critic, who joined us in October 2010 to talk the films of Sofia Coppola. Rochelle now joins the show on a permanent basis, immediately and brilliantly hitting the ground running like she’s always been here. Rochelle and Lee kick off their first show with a look back at some of the key films of this month, including Steven Soderbergh’s hillbilly heist Logan Lucky, Luc Besson’s sci-fi epic Valerian and the City of a Thousand Planets, Claire Denis’s comedic drama Let Sunshine In, and Agnès Varda’s rural France road trip documentary Faces Places. They then look at the films and career of the legendary Australian filmmaker George Miller. 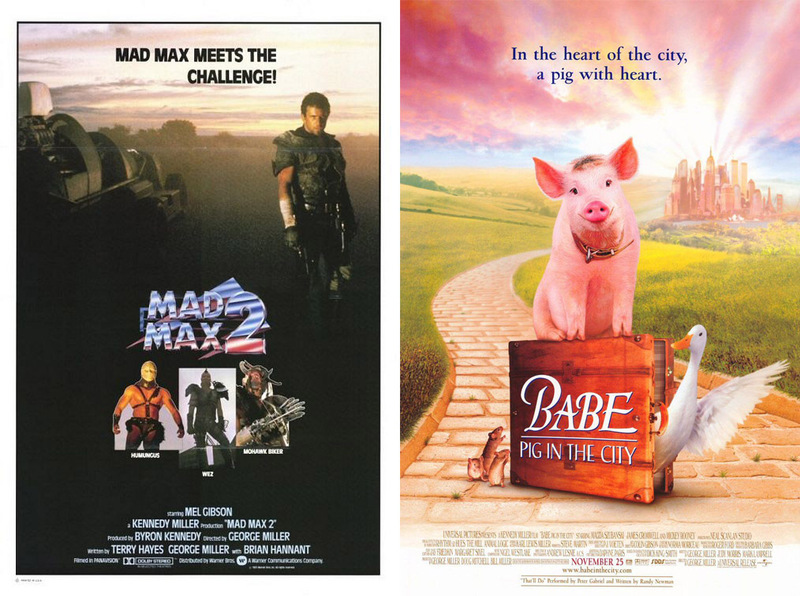 From the post-apocalyptic muscle cars of the Mad Max series to solemn biopics, from supernatural comedies to singing pigs and dancing penguins, Miller’s career is nothing if not eclectic. But are there common threads between these apparently mismatched films that we may have previously missed? 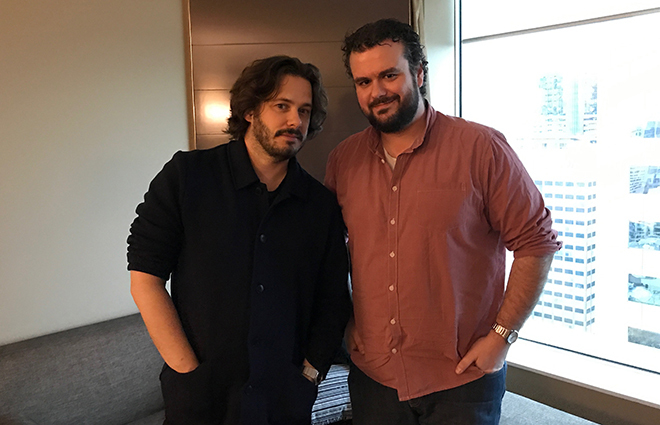 Then, Lee speaks to this month’s guest, writer/director Edgar Wright – the beloved cult filmmaker behind Shaun of the Dead, Hot Fuzz, Scott Pilgrim vs the World, The World’s End and Baby Driver – about the effect Mad Max had on him. The interview was conducted the day after George Miller had hosted Edgar at the Q&A for the Sydney premiere of Baby Driver, so the timing was pretty perfect. And you’re really going to want to hear about Edgar getting both filmmaking and medical advice from Dr George. In fact, you’re going to want to hear the whole thing. So get downloading, get listening, and get scrolling-down because our show notes provide, as always, the value-added content we like to imagine you crave. What was up with Steven Soderbergh’s retirement and then un-retirement? Here’s an interview he did with New York Magazine in 2013 explaining why he was quitting cinema, and here he is in April talking to Entertainment Weekly about flipping the switch back. All of our reviews this month were of new works by filmmakers we’ve covered on the show before! Click to listen to us talk Steven Soderbergh, Luc Besson, Claire Denis and Agnès Varda. Rochelle refers to Joseph Campbell’s description of the Hero’s Journey, which Campbell wrote about in his book The Hero With a Thousand Faces. Is Twilight Zone: The Movie our first completed anthology film? Very possibly! Now that we’ve discussed George Miller, we’ve essentially completed the film, which was directed by Miller, Steven Spielberg, John Landis and Joe Dante. After touching on the feminism of Witches of Eastwick, we took a look around to see if the internet agreed, and were greeted with a ton of content. It is, of course, the film’s 30th anniversary this year, so there’s plenty of writing on the topic: Meg Shields wrote The Devil is a F**kboy for Film School Rejects in March about the film as an examination of toxic masculinity; Charlotte Richardson Andrews wrote Hex Appeal: How Witches Charmed Cinema for Sight & Sound in April about cinematic witches as symbols of feminine magic rather than bloodthirsty she-devils; Lisa Rosman wrote The Witches of Eastwick and the Ever-Present ‘Woman Problem’ for Signature Reads in June about how the surprising ways in which the film has dated; also in June, Brian Salisbury and Hi4H alum C Robert Cargill discussed whether the film’s feminism holds up on their podcast Junkfood Cinema. Further to the discussion of Fury Road’s filming locations, here’s George Miller speaking to Garry Maddox of the Sydney Morning Herald about the possibility of filming in “Namibia or Morocco or Chile”. 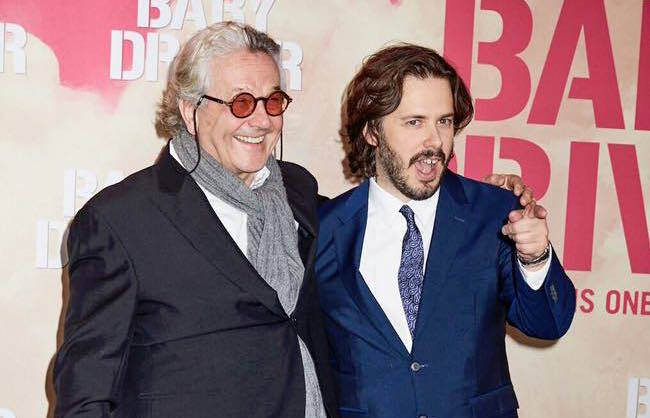 A video of George Miller talking to Edgar Wright after the Sydney premiere of Baby Driver can be seen via the Facebook page of Sam’s Movie Reviews here. Lee interviewed George Miller for The Bazura Project back in December 2006 during the promotional tour for Happy Feet, and you can watch that interview here. Hi4H alum Luke Buckmaster this year published his first book, Miller and Max: George Miller and the Making of a Film Legend, which can be ordered online here. Be sure to read James Robert Douglas’s detailed biography of George Miller at Senses of Cinema. The latest episode of Hell Is For Hyphenates, featuring Edgar Wright talking the films of George Miller, can be heard on Stitcher Smart Radio, subscribed to on iTunes, or downloaded/streamed via our website. This entry was posted in blogs and tagged edgar wright, george miller on August 31, 2017 by The Hyphenates.